There is an exhibition in the Hague, the Netherlands entitled 'Chanel, the legend'. Only during the first month there were 40.000 visitors. The Chanel Legend is an exhibition conceived by the Draiflessen Collection, Mettingen. The exhibition is currently on show in the Gemeentemuseum (the Hague) from 12 October 2013 to 2 February 2014 before transferring to the Museum für Kunst und Gewerbe in Hamburg in the spring of 2014. 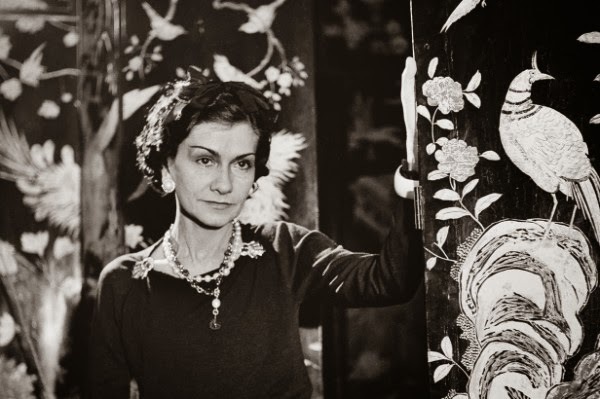 "The Chanel Legend tells the fascinating story of Coco Chanel and her celebrated fashion house. The exhibition includes a range of top items, including original Chanel designs of the 1920s and ’30s, women’s suits of the 1960s and creations once worn by star clients like Marlene Dietrich, Romy Schneider and Her Majesty Queen Paola of Belgium. In addition to original clothing designs, The Chanel Legend includes accessories and a superb selection of Chanel costume jewellery borrowed from private collections: sparkling, colourful and as chic as it comes. In addition to the many original designs on show, The Chanel Legend includes copies produced by companies like Hague fashion house C.H. Kühne & Zn and a line-up of ‘little black dresses’ by C & A Brenninkmeyer, Max Heymans, Yves Saint Laurent, Issey Miyake, Hussein Chalayan and other designers. Coco before Chanel which tells her story from childhood until the early 1920's, the early death of her love interest, Boy Capel. Coco Chanel and Igor Stravinsky is based on a fictional novel about the love story of Chanel and the composer Stravinsky in the 1920's. Karl Lagerfeld himself lent his support to the production and some of the scenes were filmed on the original location of Chanel's apartment in Paris.